Today, the works of Vincent van Gogh (1853-1890) are among the most well known and celebrated in the world. In Sunflowers, The Starry Night, Self-Portrait with Bandaged Ear, and many paintings and drawings beyond, we recognize an artist uniquely dexterous in the portrayal of mood and place through paint, pencil, charcoal, or chalk. Yet as he was deploying the lurid colors, emphatic brushwork, and contoured forms that would subsequently make his name, van Gogh battled not only the disinterest of his contemporary audience but also devastating bouts of mental illness. His episodes of depression and anxiety would eventually claim his life, when, in 1890, he committed suicide shortly after his 37th birthday. 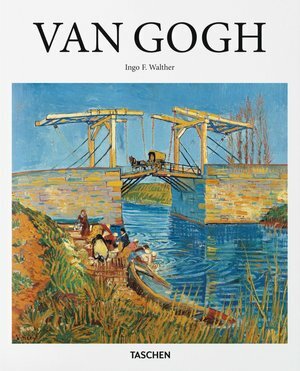 This richly illustrated introduction follows Vincent van Gogh's story from his earliest pictures of peasants and rural workers, through his bright Parisian period, to his final, feverish burst of creative energy in the South of France during the last two and a half years of his life.